Working/billing phases—Based on my experience with long-term design projects, I’ve found that it’s beneficial to handle each project in logical working/billing phases. Concept revisions, extensive alterations, or a switch in marketing direction sometimes makes it impossible to accurately estimate in advance the total cost of a design. Planning the work, cost estimating, and even billing in several phases permits my clients and I to adjust or suspend work before completion if a project is to be postponed or canceled. Any canceled design is billed only the portions of the design that was actually completed. For each design, my clients will receive a contract outlining the project details and scope. This contract will also contain a project estimate, which includes fees for professional services and itemized costs for anticipated out-of-pocket expenses that may occur. The design process begins upon approval of the submitted contract. A client approval (written or digital) will constitute an agreement between myself and the client. Payment/estimates—All clients must pay in accordance with the terms specificed in each contract. Clients are required to pay, nonrefundable, 50% of the estimated design cost before work begins. Unless otherwise specified, all subsequent balances due are payable upon final approval. Interest on past due balances is 18% per annum or 1.5% per month. I also reserve the right to refuse completion or delivery of work until past due balances are paid. 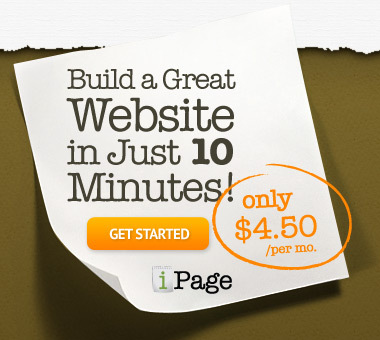 In addition, client-requested changes will be billed as required. Clients are notified of any billing changes. Out-of-pocket expenses—Fees for my design services do not include outside purchases such as, but not limited to, printing, photography, illustrations, color proofs, separations, Web hosting, mailing, shipping or courier service. Expenses are itemized on each invoice. All expenses may be subject to Kansas sales tax. If consultant or supervisory services are required in out-of-town locations, all expenses (lodgings, meals and transportation) will be billed at cost. Reimburstment for mileage is calculated at current allowable rates. Revisions and alterations—Any additional design work requested by clients after a contract has been approved is considered a revision or alteration. If the project changes to an extent that substantially alters the specifications described in the original contract, I will submit a revised contract that includes an additional fee of $150.00 per revision. Overtime—Contract deadlines are based on a reasonable time schedule, and may be revised to take into consideration “priority scheduling” requests that may require overtime and/or weekends. In addition, please factor in that outside suppliers such as service bureaus may charge a 100% to 200% markup on overtime after 5:30 p.m. and weekends. Nature of copy—All clients agree to exercise due diligence in its direction regarding preparation of materials and must be able to substantiate all claims and representations. Clients are solely responsible for all trademark, servicemark, copyright and patent infringement clearances. All clients are also responsible for arranging, prior to publication, any necessary legal clearance of the designs received from Fourth Cup. Errors and omissions—All clients are responsible for checking any proofs carefully for accuracy in all respects, ranging from spelling to technical illustrations. I am not liable for errors or omissions. Client signature or that of an authorized representative is required with all layouts and/or artwork prior to release for printing or other implementation. Property and supplier’s performance—Fourth Cup will take all reasonable precautions to safeguard the property clients entrust to me. I cannot however, be responsible for loss, destruction or damage or unauthorized use by others of such property. I will use my best efforts to ensure quality and timely delivery of all printed and/or digital pieces. 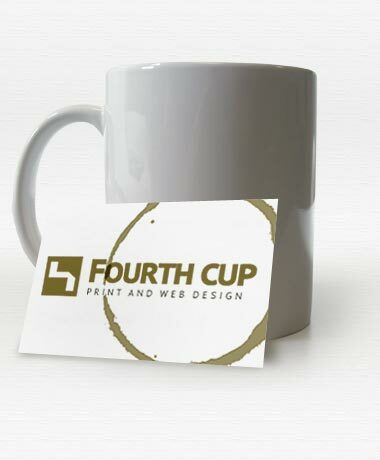 Fourth Cup is not responsible for failure or loss on part of third-party vendors, media, or others to perform in accordance with their commitments. If at all possible, I will attempt to do so, but I cannot in any way be held responsible for poor quality, price, performance or delivery. Telecommunications—Clients shall pay for all transmission charges. Fourth Cup is not responsible for any errors, omissions or extra costs resulting from faults in cable, satellite network or from incompatibility between the sending and receiving equipment. *Note: This may include incompatibility between software programs as well. Inspection of books—All invoices from Fourth Cup and other documentation relating to the client’s account is available. Inspection via PDF document(s) by an authorized representative may be arranged upon reasonable notice. Lien—All materials or property belonging to a client, as well as work performed, may be retained as security until all just claims against the client are satisfied. Rights of ownership—Once a project has been delivered and is fully paid for, Fourth Cup will assign the reproduction rights of the design for the use(s) described in the design contract. According to the Copyright Law of 1976, the rights to all design and artwork, including but not limited to photography and or illustration created by independent photographers or illustrators retained by Fourth Cup, or purchased from a stock agency (such as iStockPhoto or GettyImages) on your behalf, remain with the individual designer, artist, photographer or illustrator. Unless a purchase of “All RIghts” is made by Fourth Cup, clients may not use or reproduce the design or the images therein for a purpose other than the one(s) stipulated in the contract. If a client wishes to use the design created and/or the images within it for another purpose or project, including a reprint or exhibition, they must contact me to arrange the transfer of rights and any additional fees before proceeding. If printing or other implementation is done through third-party vendors, clients agree to return to Fourth Cup all original artwork (slides, prints, drawings, separations, etc.) within two weeks, and provide me with copies of the final project(s). I reserve the right to photograph and/or distribute or publish for promotional and marketing needs any work that is created, including mock-ups and comprehensive presentations, as samples for my online portfolio, design newsletter, brochures, slide presentations and similar media. Fourth Cup agrees to store backup files for a period of six months beyond the delivery of a job. Thereupon, I reserve the right to discard them without notification. Term and termination—The term of the agreement will continue for work in progress until termination by either myself or the client upon thirty (30) days written notice. If a client should direct me at any time to cancel, terminate or “put on hold” any previously authorized purchase, I will promptly do so, provided the client holds Fourth Cup harmless for any cost incurred as a result. Upon termination of this agreement, Fourth Cup will transfer to the client all property and materials in my control and for which have been paid. All clients will indemnify and hold Fourth Cup harmless for any loss or expense (including attorney’s fees), and agree to defend Fourth Cup in any actual suit, claim or action arising in any way from the working relationship. This includes, but is not limited to assertions made against the client and any of its products and services arising from the publication of materials that are prepared and approved before publication. Production schedules—Production schedules will be established and adhered to by both the client and Fourth Cup, provided that neither shall incur and liability, penalty or additional cost due to delays caused by a state of war, riot, civil disorder, fire, labor trouble or strike, accidents, energy failure, equipment breakdown, delays in shipment by suppliers or carriers, action of government or civil authority, and acts of God or other causes beyond the control of the client or myself. Where production schedules are not adhered to by the client or myself, final delivery date or dates may be adjusted accordingly. Additional provisions—The validity and enforceability of an agreement will be interpreted in accordance with the laws of the State of Kansas applicable to agreements entered into and performed in the State of Kansas. (An agreement is an entire understanding and may not be modified in any respect except in an executed agreement.) If I must retain attorneys to collect my invoices, I will be entitled to reasonable attorney’s fees, court costs, and interest at the maximum rate permitted by law.